The book to be discussed will be An Old Captivity. Meet in the NAAFI at 12 noon. See www.yorkshireairmuseum.org/ for more details on the Museum, location, exhibits etc. I enjoyed the 2015 Conference in Oxford immensely and congratulate everyone involved in the organisation and the presentations. I have been a Shutist since I was a schoolboy and my connection to him is both personal and professional. As a small boy I travelled on the same ship as he did returning from Cyprus. My father was an RAF pilot and we were returning from a posting. Mr Norway was coming home for a visit from Australia. My father was an ex-Battle of Britain pilot and had been flying Meteor jets in Cyprus. Towards the end of WWII he had been an instructor on Airspeed Oxfords at Wrexham and been involved in a mid-air collision. The Oxford was quite a resilient aircraft and my Dad was awarded an immediate Air Force Cross for landing his machine safely. The other aircraft was not so fortunate and neither occupant survived. It may well be that the strength, versatility and price were the main reasons why the Oxford was purchased for the King's Flight. I was the Director General of the Royal Air Force Museums (Hendon & Cosford) for over 20 years (1988 - 2010) and I tried very hard to stop our Ministry of Defence from allowing the demolition of the King's Flight Hangar on the old RAF Hendon site which is adjacent to the RAF Museum. Sadly, even though the building was locally listed as of historic importance, it was knocked down in the early 1990's. I had more success with the original Grahame White hangar and offices and they are now incorporated in the Museum and open to the public. At the 2015 Conference I learned of the passenger Nevil carried with him on his epic journey to Australia in his Percival Proctor "Item Willie". I managed to find a copy of James Riddell's book "Flight of Fancy" and read it with great interest. During the second world war, Riddell was based in Jerusalem and Syria. In 1942, he was seconded to the Australian 9th Army to set up the Middle East Ski and Mountaineering School at the Cedars of Lebanon above Beirut. He was awarded the MBE for his work, teaching upwards of 20,000 soldiers the techniques of mountain mobility and survival. These would have been alpine troops, many with a close connection to what we now call "Special Forces". Nevil did not know Riddell very well and it is difficult to discover why he wrote and asked him to accompany him on his trip. However, Nevil had many friends from his wartime days who would have still had an interest in intelligence and security. 1948 was a time of great change as the British Empire declined and the Cold War began. There was a huge amount of suspicion and intrigue going on throughout the far reaches of what had once been British and/or what was still awaiting independence. We were also interested in our allies and any potential enemies which may or may not have been in the offing. The Foreign Office would have undoubtedly asked Nevil to keep his ears and eyes open for any small facts he might obtain during his journey. This is common today and I have been asked to report back on some of my foreign visits during my career as a Museum Director. I am sure that James Riddell, whose background did not include being a qualified pilot or navigator, was "suggested" to Nevil as a companion not only because he was younger and fitter than Nevil, but also because he was a trusted ex-military instructor with a background in sport and visiting countries in which the UK had an intelligence interest (in 1936 he had been in the Winter Olympics in Germany). I am not suggesting that Riddell and Shute were asked to actually undertake any specific spying activities during their journey, but I am sure they were asked to discover 'soft' intelligence from people they met. Things like attitudes to British policy, opinions about how the future might be looking in the particular place they were stopping off in. They met so many different and interesting people that I am sure they came back with a great deal of information that would interest the 'spooks' of the Foreign Office and MI6. Indeed, his book "Flight of Fancy" is, in many ways a 'polished and edited' version of what may have been a report for one of these ‘agencies'? Could it be that Riddell was suggested to Shute by a friend who knew that he could pay his way because he was funded by our Government? Indeed, even though Nevil was, by that time, wealthy - could it also be that he, too, had help both in terms of money and diplomatic/commercial assistance to make such a long round-trip flight so soon after the war? I have made a large number of long flights in small aircraft and the bureaucracy etc is extraordinarily time-consuming. Nevil seems to have been blessed in meeting co-operative people all the way down his route - with one or two exceptions, which were usually speedily ironed out. My conclusion is that the 1948 trip was, of course, an adventure for Nevil and an opportunity to gather subject-matter for his later books. However, I am becoming more convinced that it was also an opportunity to serve his country again and to do something adventurous, possibly at minimum expense. James Riddell was there to look after him and add yet another perspective to the secondary task of gathering intelligence. Just a theory, but I am surprised Nevil did not write a novel on the theme! Hello fellow Shutists. I was inspired by the October idea from Joy Hog for reader contributions. Some excellent questions, and here are my answers. Though of course for those of you who know me, little of this will be a surprise!! Which book got you “hooked” on Shute and why did it have that affect? My English teacher gave me a copy of “A Town Like Alice” when I was about 15. I read it rather quickly, then read it again rather slowly. I was hooked. It just had so many interesting elements. A strong female lead being the first hook. It was like a history, economics and geography lesson all in one, and all wrapped up in one heck of an inspirational story. I then went on to read all of Shute’s novels. l lived in Ealing at the time and could relate his novels to places I knew. Which book did you like the best and why? I am almost embarrassed to say, but it has to be “A Town Like Alice”. It was the book that got me hooked, and the book I return to most often. When you give Shute books to non-Shute readers, which one do you like to start them with? Depends on the person and what their interests are. But is most likely to be Trustee From the Toolroom, The Far Country, Pied Piper, Round the Bend or, A Town Like Alice (as they are all my favourites). Who are some of your favourite Shute characters? What do you do to promote Shute in this day and age?? I initially felt a bit embarrassed and though not much these days. But a recent conversation with a friend changed that. My friend was telling me how she was quite detached from her father. I asked her what her father did for a living, she told me he was an engineer. I smiled and said “I bet he has a stack of Nevil Shute Novels” My friend looked at me quizzically and said he did and asked how I knew (I am not an engineer and she thought all his Shute books were just theory of engineering type stuff). Anyway, we went onto have a discussion about Shutes novels. I suggested next time she visit her father she browse his book collection and asks him if she could borrow one of his Shute novels. We never know, it might be an inroad to not only introducing her to Shute, but helping to repair their family rift. The 1916 Article in the Salopian Magazine. In 2010 the UK Shute reunion weekend was held at Shrewsbury School and our host was Dr Mike Morrogh, Head of History at the School. In addition to giving an excellent talk, together with a conducted tour of the school, he had found an article published in the school magazine, The Salopian, dated 1916. The article was unsigned, but described the events of the Easter Rising. 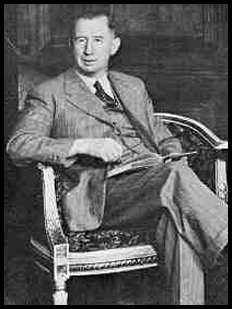 Quite naturally, given the date, the topic and the description, it was assumed that the article was written by Nevil Shute and was probably the earliest example of his writing. Glad that the Foundation continues to prosper - I look at it from time to time on the web. I remember our meeting at Shrewsbury School with the Shutists, in 2010, and your filming of the talk the next year. I retired from the school last year, and now am living in Kew, south west London. So I assumed that the article was very probably by Nevil. However - just last month an Old Salopian revealed some family letters which have his uncle being congratulated by several fellow pupils and masters for writing the article. And looking very closely at the text I am now convinced it is not by Shute, but by one J L Woods - another Shrewsbury schoolboy, exactly the same age as Shute, also living in Dublin, and acting as a stretcher bearer during the rising. It never occurred to me that there could be two of them! I have written to the author's nephew apologising for getting this wrong. I continue my individual efforts to persuade the yoof of today to read Shute - but it's an uphill struggle. Winston Churchill and "On the Beach"
I’m reading The Seafarers and every time that I read it, I enjoy it so much as to prompt me to thank Dan Telfair and his group of Shutists that made it possible that I should be able to read the story. A bonus for me is Twillingate, Newfoundland and Labrador, Canada where Donald went and bought his boat. We must have a weather station there because I see it on the weather occasionally and have always liked the name. And another month has gone by, how time flies. There are three things, that I would like to talk to you about. The first is, if you send me an email with the request to change your email address, please send me both the old and the new email address. It is sometimes very difficult to be sure what the old address is. The second thing is about the list of email addresses that we have for the newsletter. They are on my computer, and I never have, and never will, share these addresses with anybody. The only way that these addresses are made public is when you send copy to me for the newsletter. In the newsletter your email address will be published. However if you send me copy, but you don’t want your email address in the newsletter, just let me know, and I will just put your name with the copy. The last is, that there is a very interesting interview by Scott McConnel put on the website with Henry Crawfort, the producer of the 1981 mini series of A Town Like Alice. You can find the interview under Miscellaneous. From the Netherlands, where we are longing for spring, see you next month.